﻿ What are dental implants? Dental implants do require some special care, but that is easily managed when you follow the directions outlined by Dr. Philip Friedman. During your regularly scheduled cleaning, special instruments are used to clean implants. 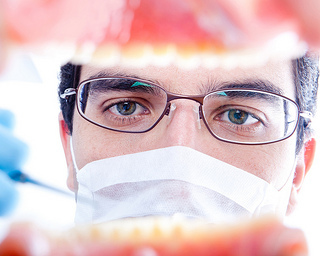 While a dental implant cannot get a cavity, a condition known as peri-implantitis can occur. This is very similar to periodontal disease as the end result is dental implant loss and loss of bone structure. Be sure to floss the dental implant daily and run the floss under the implant crown as far as it can go to remove food and plaque. If you use any picks or small brushes to go in between your teeth, make sure they are plastic. Metal will scratch the implant making it more susceptible to infection. Be sure to keep your regular dental visits and cleanings to monitor the implant and help preserve your investment.